Sundale provides every team member with the ability to access our systems remotely and includes an ability to undertake eLearning for mandatory competencies. By using your current windows username and password you will be able to access your Sundale files and email from anywhere providing you have an internet connection. 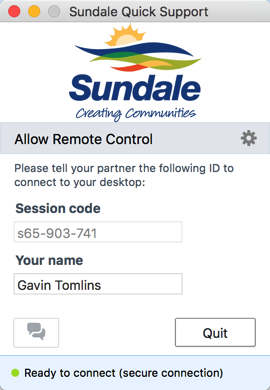 By using your current windows username and password you will be able to access your Sundale email from anywhere that you have an internet connection. The Sundale E-Learning Centre is a course management system which allows Sundale team members, volunteers and contractors a flexible, easy-to-use Web site for course-related materials, communication and assessment. The Sundale E-Learning Centre provides team member-trainer interaction, pre-readings, activities and assements in relation to daily work related activites. Sundale Team Members who work in the community for InHome Care can login and access their rosters and work tasks. Use your normal Sundale username and password to login.